If you’re creative with excellent drawing skills and a steady hand, the role of a tattoo artist may be ideal for you. Tattoo artists use a wide range of specialised equipment to tattoo their clients. Some tattoo artists also design artwork for tattoos from scratch in accordance with their clients’ briefs. The job, although hugely rewarding, is a taxing one. The best custom tattoo artists must work continuously in order to refine their style and develop a creative signature. The role encompasses a wide range of skills beyond artistic talent and dexterity. 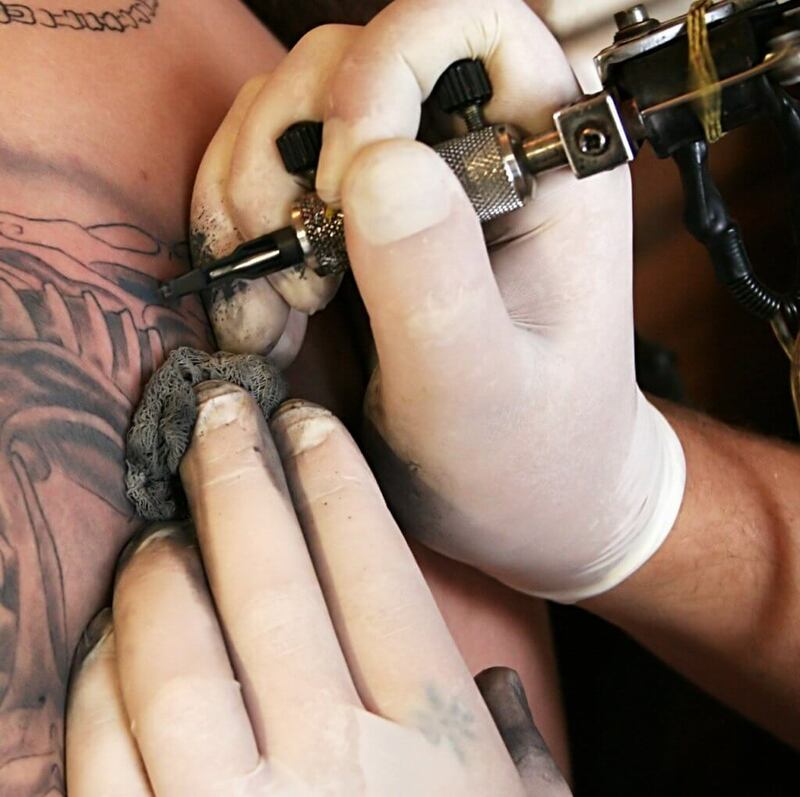 Contemporary tattoo artists must also possess business acumen and marketing skills – successful artists advertise their work on social media platforms such as Instagram. What are the responsibilities of a tattoo artist? Tattoos have always held a fascination for me. There’s a great sense of achievement when you’ve finished a design. What are the key skills required by a tattoo artist? What qualifications does a tattoo artist require? You don’t need any academic qualifications in order to become a tattoo artist, although studies in fine art, illustration or graphic design may help you to hone your drawing skills – and to earn money while you train! A degree in illustration or graphic design is beneficial, as it provides candidates with knowledge of computer programs such as Adobe Illustrator – these are invaluable to tattoo artists. 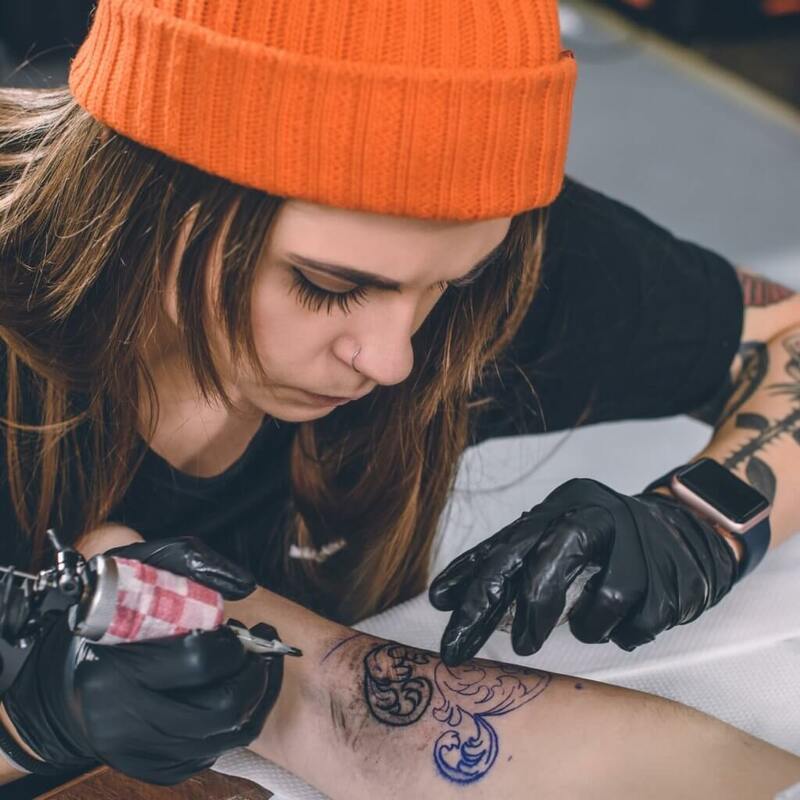 After training as an apprentice you will need to apply for a tattoo, piercing and electrolysis licence for yourself and – if you are working independently – your premises. You will also need evidence that you have been vaccinated against blood-borne pathogens such as hepatitis. Do I need relevant work experience to become a tattoo artist? In order to secure an apprenticeship, you will need to demonstrate your artistic experience with a portfolio of drawings. These elements should be tied together, demonstrating your individual personality as a budding tattoo artist. Portfolios generally consist of at least 50 sketches and often as many as 200. Tattoo artists looking at your portfolio will be paying attention to your shading ability, colour choice and awareness of dimension and scale. Your drawings should also showcase your ability to copy – as tattoo artists must replicate art onto their client’s skin freehand from the drawn design. Is the role of a tattoo artist right for me? There are both pros and cons involved in the role of a tattoo artist. The role is flexible and you can more or less set your own schedule after you’re fully trained. This makes it easy to segue into the role of tattoo artist from your previous career, tattooing part time until you are making enough money to work full-time. If you decide to change careers or branch out and learn new tattooing techniques further down the line, you can specialise in medical or cosmetic tattooing. Your licence also covers piercings and you could train to be a professional piercer and work in both trades for a wider customer base and a more reliable source of income. All the usual negatives for working a custom-facing role apply – clients can be stressful, demanding, or not know what they want.